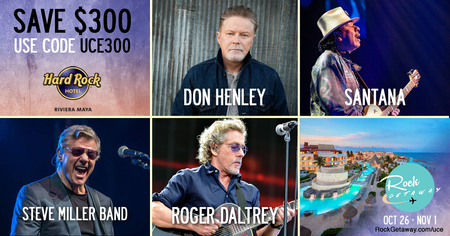 A Week-long musical warm-weather getaway for Music Festival lovers! Save $300 by using the code UCE300 when purchasing your tickets! All inclusive - food, drink, etc. All musical performances are INCLUDED Pool parties, jam sessions and after parties Sound of your Stay, and Music Lab programs featuring you as the star! Plus Limitless Resort Credit for spa, tours and more! *Event is subject to change. All other artists' dates and times to be provided in the festival program.